A Northern Harrier scans a field in Washington State, watching and listening for prey. 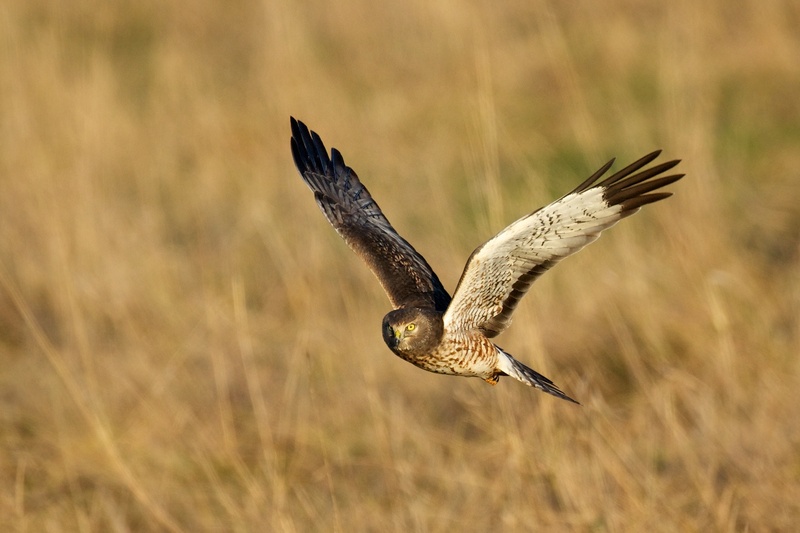 Listen to BirdNote shows on Northern Harriers. Common Loon on nest - with friend looking on!